We can pay for one in items? Those shaded busts look mighty fine. o3o;; Is there anything from my thread 'o retired fest items that strikes your fancy? @Minnylynx Hehe thanks, and yeah you can pay in items! (I'm currently looking for some treasure too because im so poor) but first, can you fill out the form? i'll just warn you, I dont want to work with really dark colours as it lowers the quality(in my opinion) so I don't like using them. Figured I'd check before throwing a request at you. 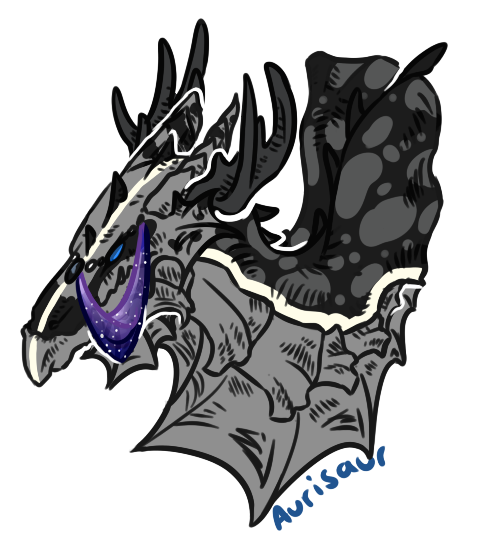 o3o; Here's your form~ @AuriSaur [b]Username:[/b] [url=http://flightrising.com/main.php?p=lair&tab=userpage&id=126885]minnylynx[/url] [b]TYPE OF COMMISSION:(FLAT/FULLY SHADED)[/b] fully shaded [b]Dragon Image: [/b] [url=http://flightrising.com/main.php?dragon=2076030] [img]http://flightrising.com/rendern/350/20761/2076030_350.png[/img] [/url] -and- [url=http://flightrising.com/main.php?dragon=5785486] [img]http://flightrising.com/rendern/350/57855/5785486_350.png[/img] [/url] [b]Dragon Name/ID:[/b] Chrysoprase (2076030) & Aventurine (5785486) [b]Personality: A few keywords/a small paragraph so that I know a little bit about your dragon! This will help me immensely when drawing them. [/b] These dragons are birthday dragons that represent my husband and myself. He's very much the protective sort. [b]Apparel and Accents:[/b] Let's see what the price is going to be for them together in a pic first. 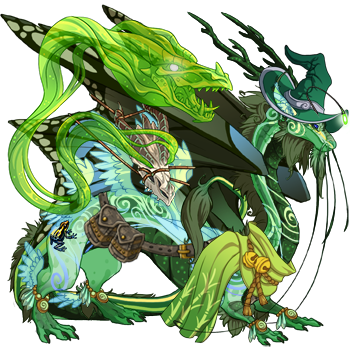 >__>;;; But it'd be great to have Aventurine's Windbound Plumage in the pic. I'm really proud of my little Wind fart apparel. XD [b]Payment Method: paypal (USD), gems/treasure: [/b]Preferably primarily items from the thread I linked earlier, but I also have treasure for whatever's left. [b]Other Info: If you have a preference for the colours, expression/pose, or any other details, please include that here. [/b] It's a couple's pic, so something cute. Personality: A few keywords/a small paragraph so that I know a little bit about your dragon! This will help me immensely when drawing them. These dragons are birthday dragons that represent my husband and myself. He's very much the protective sort. Payment Method: paypal (USD), gems/treasure: Preferably primarily items from the thread I linked earlier, but I also have treasure for whatever's left. Other Info: If you have a preference for the colours, expression/pose, or any other details, please include that here. It's a couple's pic, so something cute. @Minnylynx yeah, LAH, I'll list them here, I have loads I'm quite interested in haha. Aviator scarves, ebony/ivory/gold/burnished filigree, flowerfalls, wings, battlescale, wind emblem. Maybe a combination(not all) of these items + treasure can pay? I want to have like 50k-100k treasure if that's possible with you. as I said I don't want all of these items. Equals 1159g worth of stuff and treasure. Does that look right to you?